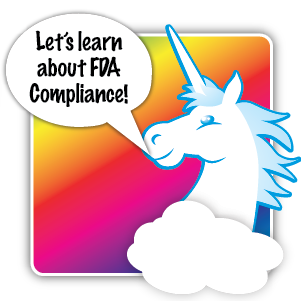 Instructions: If you recieved a Live Forever Juice box or Unicorn Breath Immortality Supplement packet at a trade show or event, pull it out and follow along with the videos below to see in-depth analysis about FDA compliance issues andlabeling.. If you don't have your box or didn't meet us at an event, simply click the image to the right to see a flat-view layout of the packaging. Print it out and follow along or just put it on another screen. • Is it a drug or a supplement? • Internet claims are important and FDA does look at them! 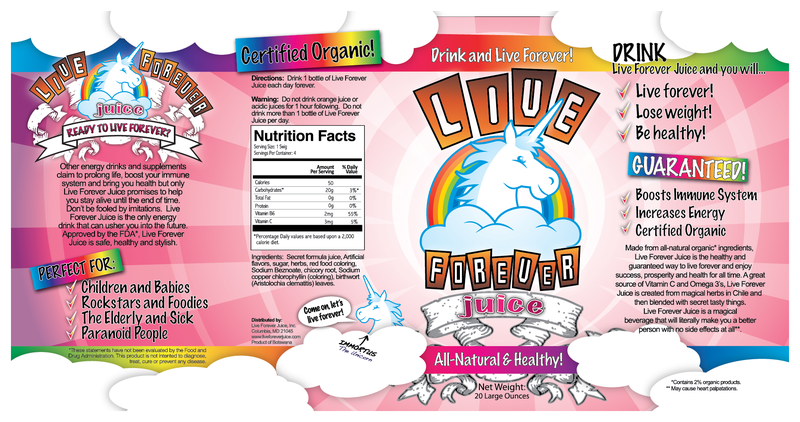 Juice Labeling Errors 1: What Is It? • What is a PDP? • Loop Endlessly at Parties, Weddings or Work Functions! * If you are prone to seizures you may not want to view this video.